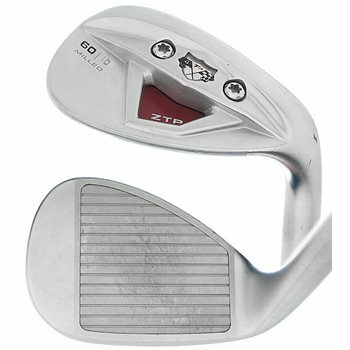 The TaylorMade TP xFT C-C wedge is the 2010 Condition of Competition conforming version and allows the player to have fresh grooves, no matter how long the wedge is played. It features an exchangeable face insert that is precision milled to ensure a perfectly flat face to promote increased spin. There is a thin urethane layer behind the clubface to promote a soft feel and ensures that the face fits precisely into the milled pocket.